Your eCommerce business may be thriving, but what if you’re concerned that your supply chain isn’t performing as well as it must to top the competition? As online retailers continue to rise to the forefront of customer-facing sales, a variety of tools and proven strategies have been introduced to help businesses like yours optimize their supply chains and gain the winning knowledge to reach customers on a whole new level. 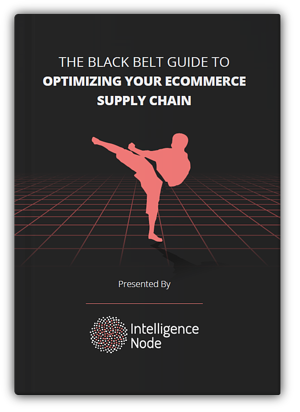 Luckily, we have compiled an invaluable new eBook filled with all the need-to-know data you need to jumpstart your supply chain optimization process in no time flat. With this handy guide, you’ll learn tons of central lessons that cut to the heart of supply chain management. These are just a few of the topics we cover, and we know that you won’t regret your decision to spruce up your supply chain. The connection between this critical part of your business and the customer experience cannot be understated. Your business and customers deserve the very best service you can muster. Ready to take your eCommerce business to the next level? Download our free eBook by filling out the form. Supply chain optimization isn’t only the next step in the evolution of your company, but it’s also the future of the industry as a whole. Don’t delay!